Technologies that restore movement and the sense of touch are helping people to overcome the physical effects of stroke and spinal-cord injury. Neil Savage is a freelance writer in Lowell, Massachusetts. Eugene Alford just couldn’t get his legs to move, but it wasn’t for want of trying. 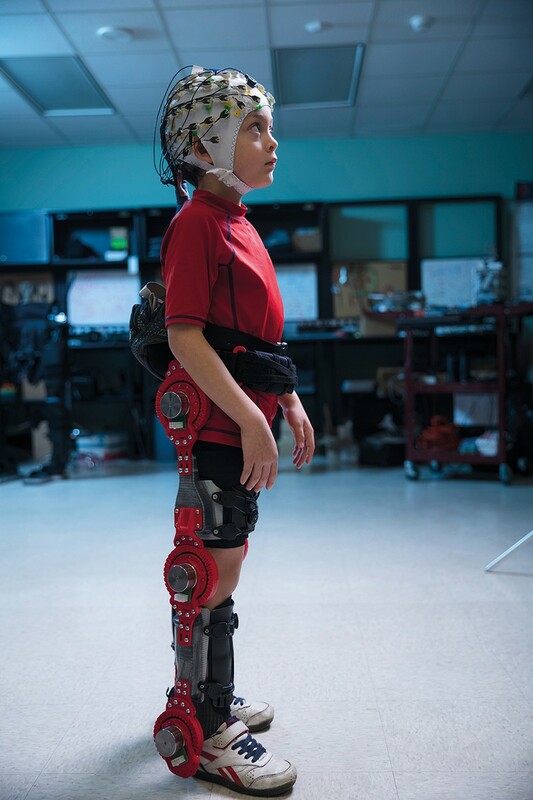 It was 2012, and he was in a laboratory at the University of Houston in Texas, participating in a study that was designed to see whether people with paralysis could control a robotic exoskeleton with their thoughts. Alford, a plastic surgeon who’d lost the use of his legs when a tree fell on him at his farm, kept trying to walk by willing the electrical impulses in his brain up and into the electrodes on his head, from where they could be translated into movement. Jose Contreras-Vidal, the neural engineer who was conducting the experiment, urged Alford not to think too specifically about the act of walking. Instead, he should just concentrate on where he wanted to go. “Finally, he put a cup of coffee on the desk, and I started thinking, ‘I want that cup of coffee’,” Alford, now 58, says. So Alford strode over to the desk and took it. By thinking about walking as an able-bodied person would — that is, by barely thinking about it at all — he was able to send the correct signals to the brain–machine interface that controlled the robot. The movement that the technology bestowed was a big deal for Alford. “Just being able to stand up and look somebody face to face, in the eye, for a person who’s been in a wheelchair for five years, that’s what brings tears to your eye,” he says. Six years on, Contreras-Vidal’s lab at the Building Reliable Advances and Innovation in Neurotechnology Center, a collaboration between the University of Houston and Arizona State University, continues to train paralysed people to walk, albeit only under the supervision of researchers. 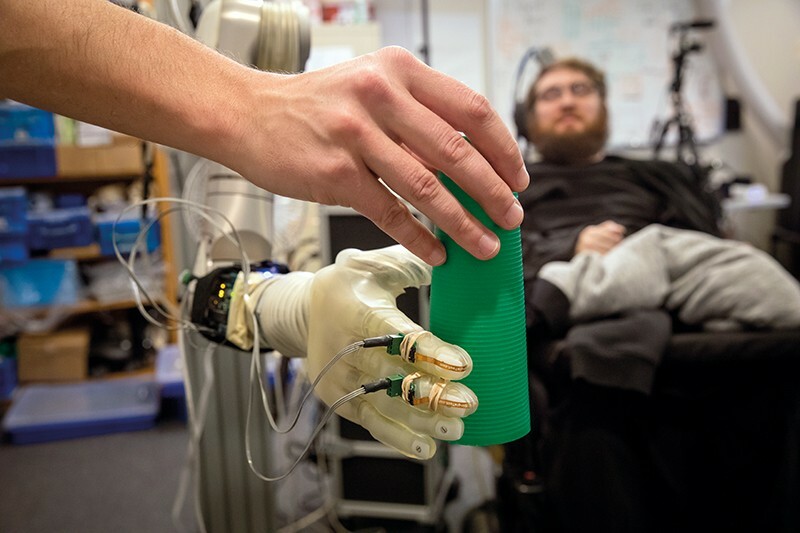 His group is one of a number that are developing practical neural prostheses — devices capable of reading signals from the brain and then using them to restore movement in people who have been paralysed through injury or illness. The World Health Organization estimates that 250,000–500,000 people worldwide suffer a spinal-cord injury every year, about 13% of whom will lose the ability to control all four limbs. Another 45% will retain some movement or feeling in all limbs, but are still severely limited in what they can do physically. And almost 2 million people affected by stroke in the United States are living with some degree of paralysis, as are another 1.5 million people with multiple sclerosis or cerebral palsy. Against this backdrop of paralysis, researchers are working to engineer technological solutions. As well as enabling the control of robotic aids, some groups are learning to detect the brain’s intention to initiate movement and to then feed that instruction into the muscles. A few groups are also trying to send signals back into the brain to restore sensation in people who can no longer feel their limbs. 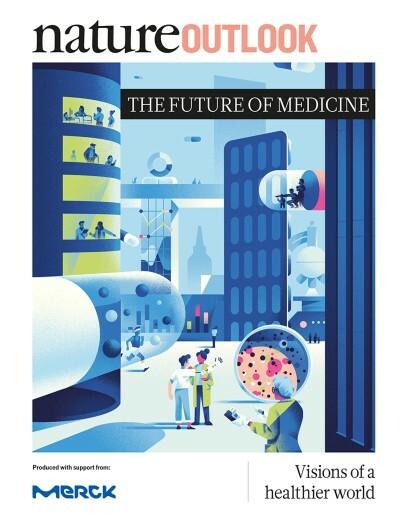 But before these technologies can touch lives beyond the lab, researchers must improve the understanding of how best to integrate humans with machines. Contreras-Vidal records electrical activity in the brains of his study volunteers through a skull cap that is studded with 64 electrodes. The impulses gathered are then translated into signals to control the robotic exoskeletons. Listening to populations of neurons using electrodes mounted outside the skull is not a simple task. Like hearing music from across the street, some subtleties are lost. And movement of the scalp muscles, eye blinking and motion in the wires that connect the electrodes to the decoder all add noise that makes the neural signals trickier to interpret. The system provides enough information to unravel the user’s intentions and to translate them into movement, but other researchers are using implanted electrodes to read signals from individual neurons, in the hope of collecting a more nuanced signal and providing finer-grained motor control. Kochevar was in his mid-forties when he crashed his bicycle into the back of a postal truck, injuring the top of his spine, and causing him to completely lose the ability to move his limbs. He died last December at the age of 56 from complications of that injury, having participated in the implant research for about three years. The researchers he assisted — part of BrainGate, a collaboration between Case Western, Brown University in Providence, Rhode Island, Massachusetts General Hospital in Boston, Stanford University in California, and the US Department of Veterans Affairs — are continuing to recruit volunteers. To enable Kochevar to move his arm, the researchers implanted two square arrays of 100 electrodes, both 4 millimetres long, in the area of his motor cortex that was responsible for hand movement. Another 36 electrodes implanted under the skin of his right arm provided tiny jolts to the muscles in his hand, elbow and shoulder through a technique known as functional electrical stimulation. The brain arrays were wired to bolt-like connectors that protruded from the top of his head. Cables carried signals from the connectors to a computer, which applied machine-learning to the data to ascertain the movements that Kochevar wanted to make. The electrodes in his arm then received a pattern of stimuli that caused his muscles to move. Because Kochevar’s muscles had weakened through disuse, the researchers also provided him with a motorized arm support, which received the same movement commands as his own muscles. Before Kochevar could start to use the system, the researchers had to train the computer to interpret his intentions. Initially, they asked him to watch a moving arm in virtual reality while imagining that he was making the same movements. Later, they tried a lower-tech approach that Ajiboye says worked just as well; they moved Kochevar’s arm using the computer and had him imagine he was doing it. The imagined movements created distinct patterns of activity in the 200 or so neurons in Kochevar’s brain that were being monitored individually by the two implants. The researchers recorded the order and rate of neuron firing for each movement, enabling them to stimulate the correct muscles in Kochevar’s arm when a particular pattern of movement was detected in subsequent experiments. To begin with, Kochevar had to concentrate on the individual movements that comprise a gesture. “When I first started doing it, I thought a lot about moving in, out, up, down,” he said. But as time went on, he was able to go beyond purely mechanical directives. With practice, moving his arm came more naturally; like Alford, he learnt to think about what he wanted to do rather than how to do it. “I just think about going from here to there, and it pretty much goes there,” he said. He only ever used the system under the supervision of the researchers, either in the lab or at his home, owing to the complexity of the set-up and US Food and Drug Administration (FDA) safety regulations. Ajiboye and his colleagues needed to calibrate the system at the start of each day of testing, to ensure that the electrodes were aligned correctly in the brain. Although the day-to-day drift is usually small, in time the implants could end up recording a different group of neurons, which would mean having to interpret a fresh set of activity patterns. Calibration takes around five minutes, but Ajiboye hopes that his team will eventually reduce it to just a few seconds. The only feedback that participants in Ajiboye and Contreras-Vidal’s research receive when they move is visual. Other researchers, however, are trying to provide users with another type of important sensory information — touch. “That’s how we know to hold objects the right way, to make sure we don’t crush them or that they don’t fall out of our grasp,” says Robert Gaunt, a biomedical engineer at the Rehab Neural Engineering Labs at the University of Pittsburgh in Pennsylvania. Sight alone does not always provide enough information for a person to judge whether he or she is touching an object, or to guess the correct firmness of grip, and physical sensation is crucial to the fine-grained control that is required to write with a pen or to turn a key. In 2015, Gaunt and his colleagues began to test such a feedback system in Nathan Copeland, a 28-year-old man from Pennsylvania who had been paralysed in all four limbs in a car accident a decade earlier. Like Kochevar, Copeland had electrodes placed in his motor cortex as part of a separate experiment led by Gaunt to control a robotic arm. To provide Copeland with a sense of touch, however, the researchers needed to implant two arrays of electrodes in his primary somatosensory cortex — the area of the brain that is responsible for registering such sensations. These arrays were wired to pressure sensors in the hand of the robotic arm, and the researchers pressed each finger separately, out of Copeland’s sight. He correctly identified which they were touching 84% of the time, and was usually right about the index and little fingers, but occasionally mixed up the middle and ring fingers. The sensation wasn’t entirely the same as touch. Often, Copeland did describe the feeling as touch or pressure, but some of the electrodes produced other sensations, including tingling, buzzing or warmth. The researchers are trying to understand what causes these responses, in the hope that they can use them to the advantage of people with paralysis. It might be useful, for instance, for them to be able to feel temperature. Neural prostheses are a long way from being ready to use in a domestic setting. One problem is that they’re bulky and obtrusive. “The system is essentially a rack of computers that record the brain activity,” says Ajiboye. “We need to miniaturize the recording technology so it’s the size of a cell phone and it can sit on the side of a wheelchair.” He’d also like to use wireless sensors to eliminate the need for users to be tethered physically to a computer. Researchers are already working on such sensors, and groups have tested several in rats and monkeys in the past five years. But wireless technology alone will not clear the path to widespread use. The biggest impediment to implanted electrodes is that they tend not to last for more than a few years. The only electrode system that has FDA approval for implantation in the human brain is the silicon-based Utah array — the device type placed in both Kochevar and Copeland. Each device’s needle-like electrodes are 0.5–1.5 millimetres long and stick into the brain. Developed in the 1990s, the array provokes an immune response that produces a local build-up of tissue called a glial scar, which limits the flow of electrical signals. And because the device is much harder than brain tissue, it can drift out of alignment as a person moves, changing which neurons it records and promoting further tissue irritation. Although researchers have managed to get useful information from the arrays for five or more years after implantation, the signals obtained become progressively less detailed. Even in relatively young devices, some areas will have stopped working, says Jeffrey Capadona, a biochemist and materials scientist at Case Western who studies why the arrays fail. To be practical for use in people with a spinal-cord injury, who can live for decades after the initial trauma, the implants would have to last much longer. An array that could span a person’s lifetime would remove the need for them to undergo numerous invasive brain operations. Capadona has discovered that it’s more than just scarring that causes array failure. “We have neurons dying around the implant,” he says, and “we see that the materials of the implants are corroding and falling apart”. He has traced these effects to a common source: the reactive oxygen molecules that are released as part of the body’s inflammatory response. Capadona is now looking for drugs that might reduce that response, as well as developing coatings for the arrays that would act as an antioxidant, converting the oxygen species into water. The Department of Veterans Affairs is funding a preclinical trial of these coatings on the Utah array. Capadona says that, ideally, he would like to build an entirely different implant from a polymer that is stiff enough to be manipulated easily during surgical insertion, but then softens as it absorbs water from the brain — therefore placing less mechanical stress on the tissue. It could also be laced with a drug that suppresses the initial immune response. Lieber has tested the mesh in mice, where it was used for a year without degradation. He plans to do some initial tests in people with temporal-lobe epilepsy this year. Because one treatment for the condition involves removing part of the brain, the implant will be tested by attaching it to tissue that will be removed an hour or so later, rendering any damage from the device inconsequential. 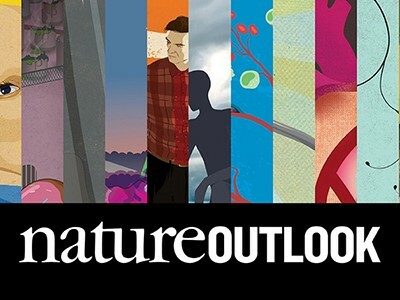 This article is part of Nature Outlook: The future of medicine, an editorially independent supplement produced with the financial support of third parties. About this content.